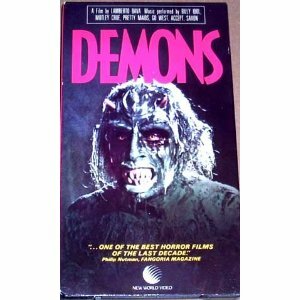 Easily one of my favorite horror movies of all time is Lamberto Bava’s 1985 Italian splatter classic, Demons. A ridiculous but hugely entertaining mess of a movie that turns into full-on demon carnage after a prostitute named Rosemary (Geretta Geretta) puts on a prop mask at a movie theater. 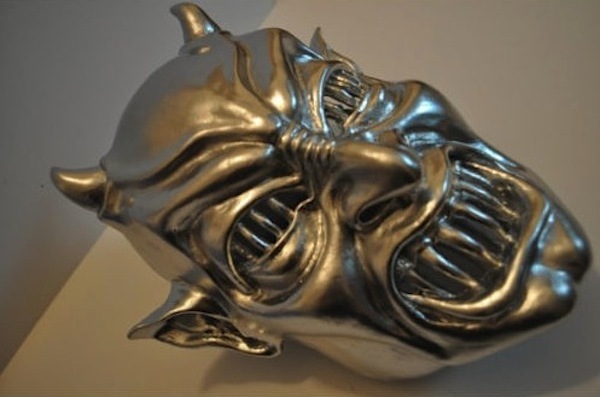 And now thanks to the glorious Ebay gods, someone has replicated that very mask for you to own.